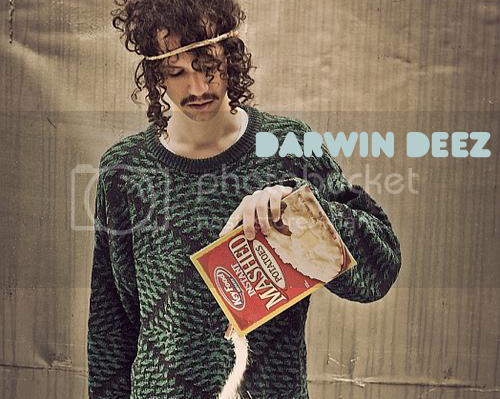 I don’t know what it is about the music of Darwin Deez, but every time I’m listening to his songs, I feel like smiling. For no particular reason. His eponymous debut album is simply crammed with some of the most thrilling summer pop jams you’ll hear throughout this whole year. And though at first I find the Strokes comparison a little weird, but the resemblance is generously scattered throughout the record. This is mostly owing to the jangly guitar riffs that act as the backdrop for a major part of the album. 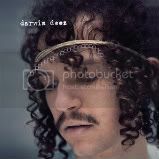 But although Deez’s songs feel generally Strokesian, it doesn’t necessarily wear the lo-fi allure on its sleeve. The tunes come through a lot brighter, and cleaner, and clearer, which works just as well when anchored by his infectious, raspy vocal delivery that effortlessly shifts from deadpan to falsetto-- and all executed as he sends hearts everywhere aflutter. It’s true, his falsetto makes me weak in the knees. ‘Constellations’ is one of the highlight tracks; a great tune to listen to while riding in a convertible with the top down; as you gaze at the starry sky, summer wind in your hair, the taste of salty air on your skin. But ‘Radar Detector’ is that song that’ll make you let go and let loose, and just dance to your hearts desire despite how ridiculous you make look. Sounds like pure utter bliss to me. I love how I can put on this record and feel instantly revived and upbeat, as though nothing else matters, nothing else exist, it’s just me and the songs. All the bad can happen in the world, but put this album on and everything will start to look a little better.